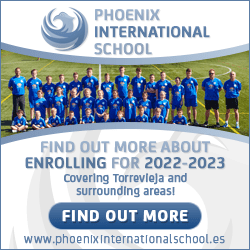 Here is a link to the new residency requirements in Spain for nationals of other European Union (EU) Member States and European Economic Area (EEA) states. 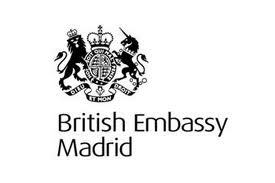 This information comes direct from the British Embassy in Spain. As you will see there is a caveat about the translation but having seen the original Spanish I feel sure that they are 99% confident! It is really quite all-encompassing and I suggest that you read it more than once to see whether you are affected. I REALLY don’t want to get into a “discussion” or “discusión” but it SEEMS to me that this is in complete contradiction to this directive. I will let you decide. The Free Movement Directive guarantees that non-EU family members of EU citizens who hold a valid residence card issued by one EU country can travel together with EU citizens within the European Union without an entry visa. The UK laws do not grant this important right which lies at the heart of free movement. The United Kingdom does not allow extended family members of EU citizens to apply to have their residence in the UK considered under EU law when they were lawfully residing in the UK before the arrival to the UK of the EU citizen on whom they are dependent. Under the Free Movement Directive, EU citizens who settle in another EU country but do not work there may be required to have sufficient resources and sickness insurance. The United Kingdom, however, does not consider entitlement to treatment by the UK public healthcare scheme (NHS) as sufficient. This breaches EU law. Finally, the United Kingdom does not issue workers from Romania and Bulgaria during the first 12 months with the same residence documents as workers from other EU Member States. While EU law allows the United Kingdom to temporarily keep in place a work-permit scheme for workers from Bulgaria and Romania, those who have a work permit have the same right to reside as other EU workers and must be issued the corresponding residence documents.